What a warrior you will be with this heat-forged warrior sword in your hands. 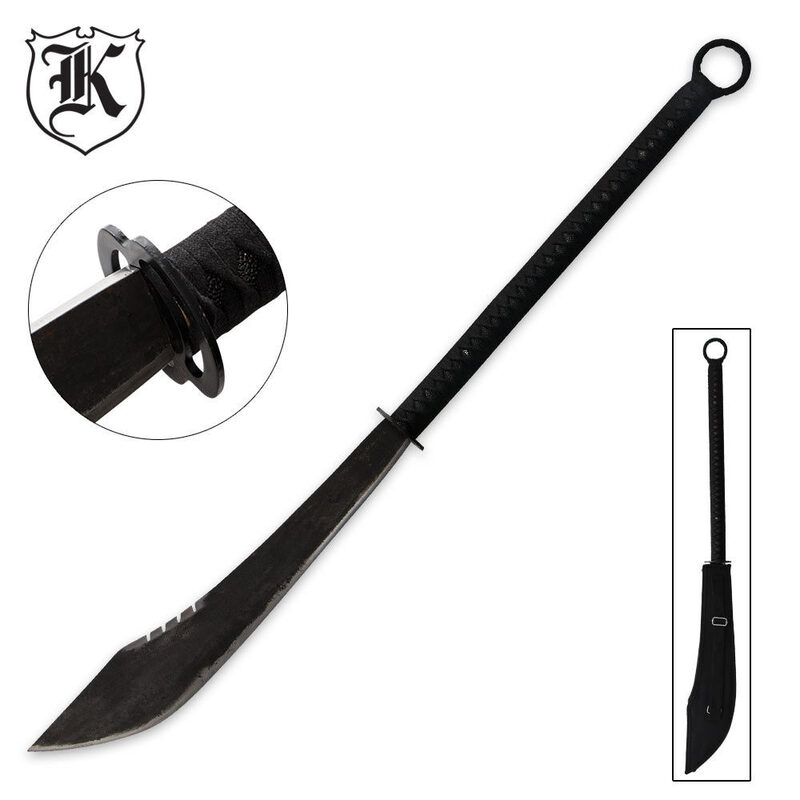 This massive 48-3/4" warrior sword features a heat-forged steel blade with an oxidized finish for an aged, authentic look and feel. Like ancient Samurai swords, the ray skin handle is heavily wrapped in cord. 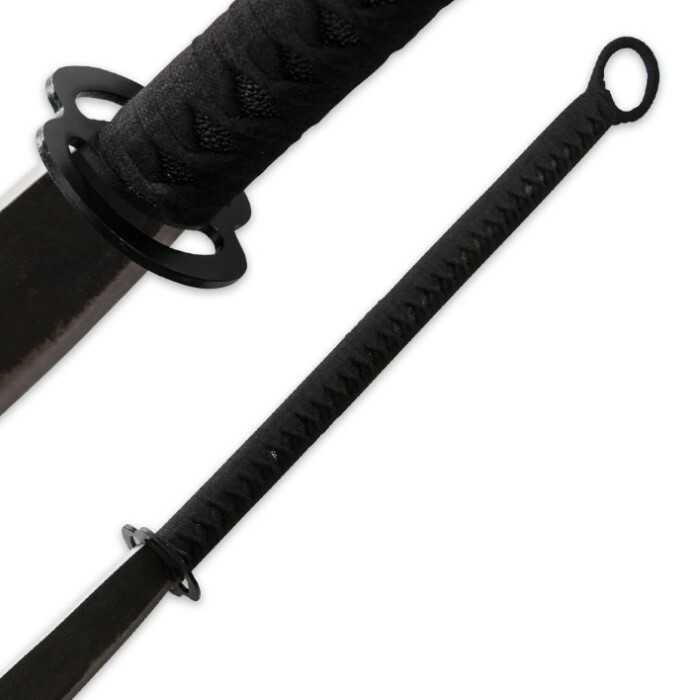 The open-hole pommel design matches the circular tsuba, and heavy serrations finish the top of the hefty blade. The authentically detailed fittings are crafted of cast zinc alloy with an aged finish like the blade. It comes to you with a reinforced blade sheath with a shoulder strap. Well made, solidly built, it comes sharp and is rather intimidating in appearance. DON'T expect pretty! this has the look of as the description implies "the sword of a true warrior"